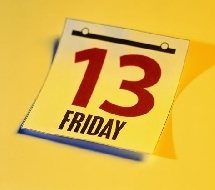 FRIDAY THE 13TH « THE BRYCE IS RIGHT! LAST TIME: SUPPORT YOUR LOCAL ENTREPRENEUR – How a Mister Sparky franchise is changing things. This entry was posted on December 13, 2013 at 6:00 am	and is filed under Life. Tagged: Florida, FRIDAY THE 13TH, palm harbor, The Bryce is Right, tim bryce. You can follow any responses to this entry through the RSS 2.0 feed. You can leave a response, or trackback from your own site. Yep, the 13th has always been good to me as well. Makes sense to me. It’s just another day to cope with.